I’m always keeping an eye out for simple accessories to add color to my wardrobe so I knew I found something great once I came across this necklace. The price wasn’t exactly speaking to my frugal wallet, therefore I made one using air dry clay that I had leftover from December’s Whimseybox. 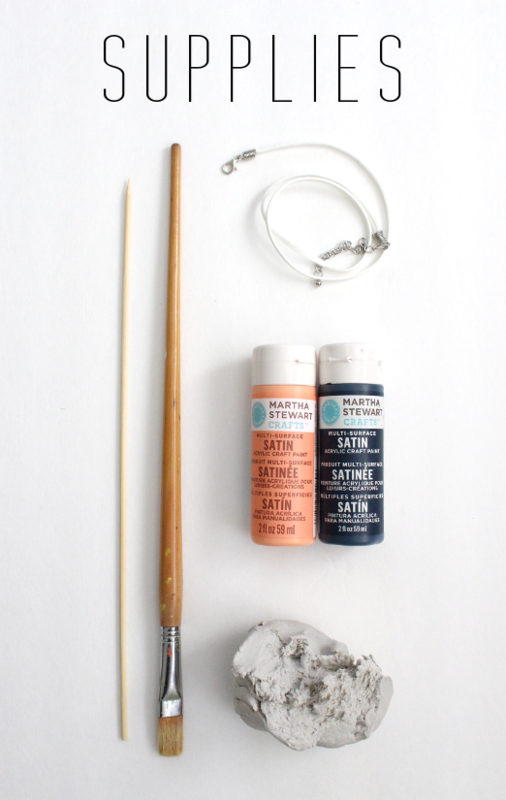 To make your own you’ll need a wood skewer or something similar, paint and paint brushes, a necklace cord with clasp (mine was from Joann’s), a nail file, and air dry clay. 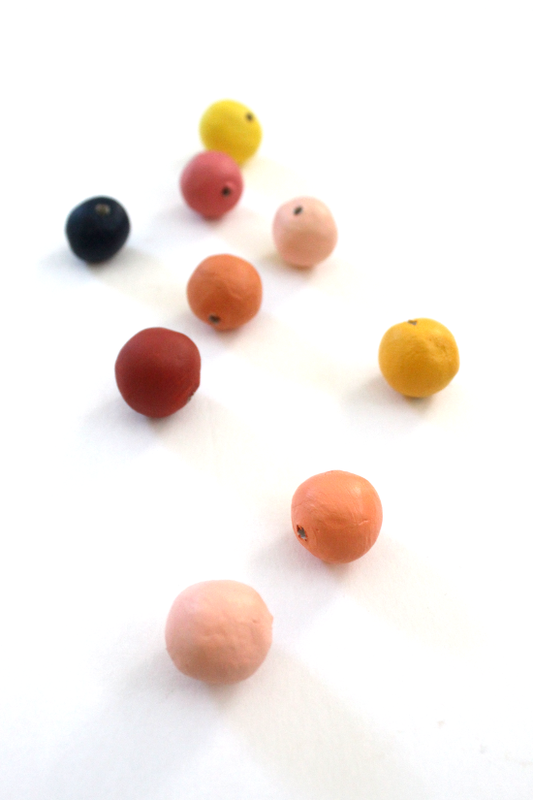 To make the clay beads, pinch off some clay and gently roll it into a ball. Then, poke a hole through the bead by slowly twisting the wood skewer. Once the skewer is removed, gently flatten the edges of the holes. Allow the beads to dry overnight, then smooth them with a nail file. When the beads are smooth, remove any dust with a cloth or paper towel. Painting comes next. 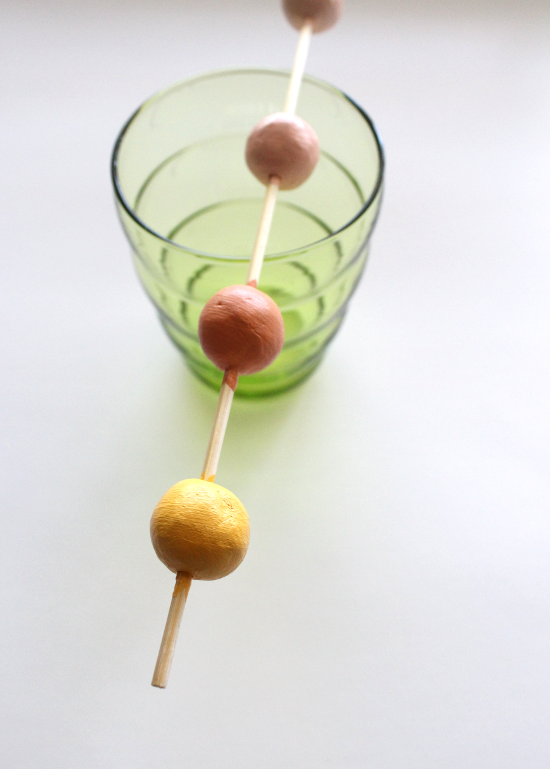 The easiest way to paint the beads is to push them onto wood skewers, I balanced the skewers and beads on cups to prevent any of the wet paint from smearing. 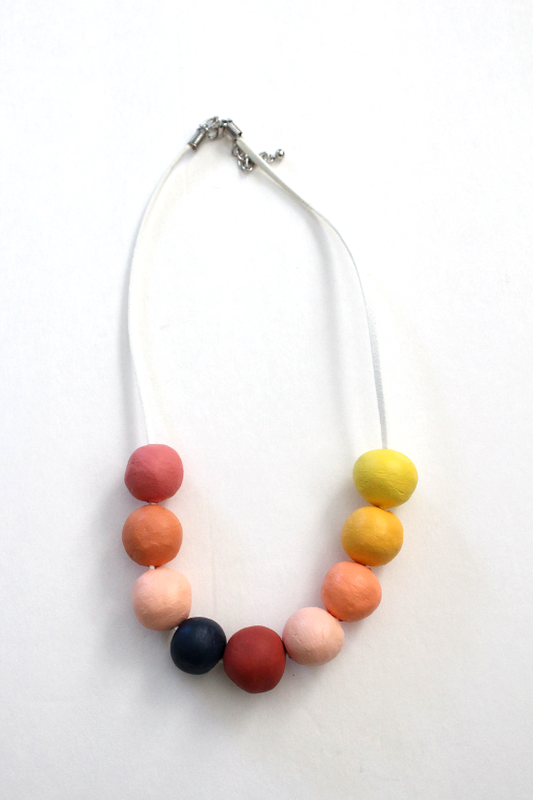 Once the paint dries, remove the beads from the skewers and lace them onto your necklace. I had to remove the clasp with needle-nose pliers to thread on the beads. It was a pretty straight forward, easy process. The air dry clay was extremely easier to work with than polymer clay – it is much more forgiving and mendable .And although my diy version is a far cry from the original inspiration, I’m pretty happy with how it came out. I mostly like that the beads are various irregular sizes. 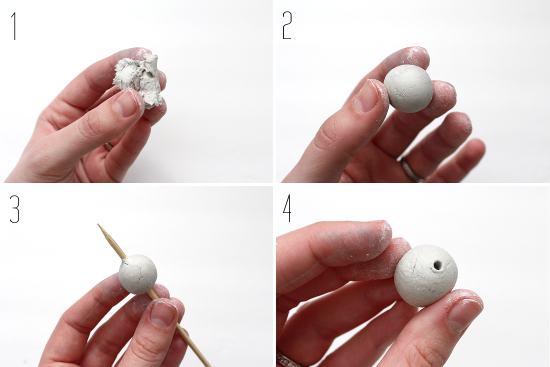 Have you tried out air dry clay? If so, are you a fan or do you prefer oven bake clay? 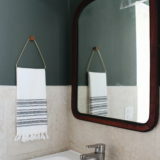 PS: To check out more DIY’s, click here. 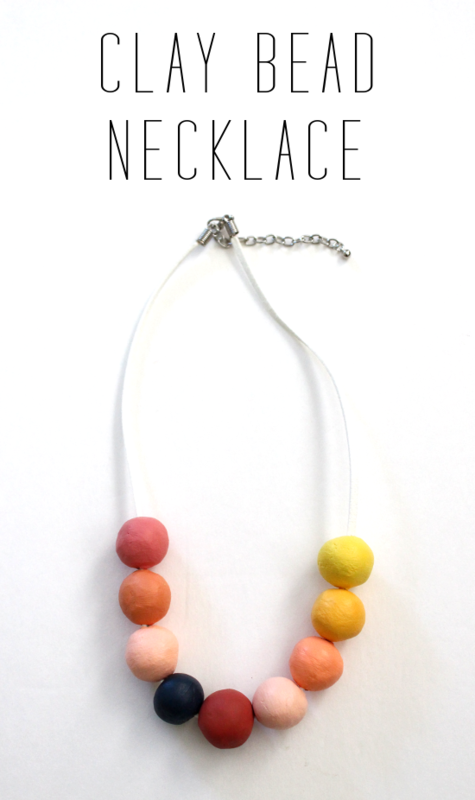 What an awesome necklace, and it looks pretty simple to do; love it! Pinning for sure! Thanks! It is very simple! This was darling! I really like the colors you chose!